Bare neces­si­ties. If you are ever in Manila/PHL and look­ing to get a Pre­paid mobile line for emer­gency and/or to just com­mu­ni­cate around the islands, this might get you on the right track. 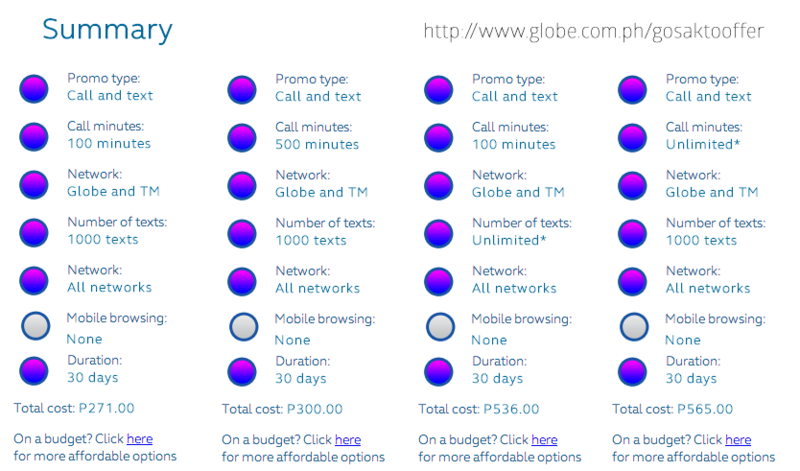 I did some research with Globe and their “GoSak­to” make-your-own com­bos; ~P500/month for some calls and unlim­it­ed tex­ting ain’t bad (P300 only if 1,000 of text). I’ll be able to afford more cronuts now! PS. You may test more com­bos over here. So in prepa­ra­tion to going to Europe, I want­ed to be able to have a cell­phone (mobile) handy in case of an emer­gency. I want­ed to just use the iPhone 3G but I have updat­ed to iPhone OS 2.2.1 with a base­band of 2.30.03, which there is no (soft­ware) unlock for. Luck­i­ly, I still have kept my Sam­sung Black­jack (1). Call 611 (Cus­tomer Ser­vice), and not the local AT&T store. Unlock­ing is “free” (accord­ing to the CSR who helped me). Give your IMEI num­ber to the CSR to receive your phone’s unlock code. Take out the SIM card if there are any first. You have to do the fol­low­ing key­strokes: #7465625*638*unlock_code# (unlock_code is your own of course). Your phone’s dis­play will then have some type of mes­sage that it has dis­abled a lock of some sort. You are currently browsing the Just a Memo archives for the 'communication' tag.